Sun and Moon have been released to the wild now, and as such many players are probably wondering if the new games are compatible with the Pokemon Bank. Well the answer is both yes and no. Unfortunately, the Pokemon Bank does not currently work with Sun and Moon. However according to the official website, an update for the Pokemon Bank in January, 2017 will make it fully compatible with Sun and Moon. For anyone that doesn’t know, the Pokemon Bank is an application on the 3DS that allows you to store large amounts of Pokemon from across different entries in the series. It does cost a yearly fee of $4.99, but you’re able to store up to 3,000 Pokemon and transfer them to other games. When the update hits you’ll be able to transfer from X and Y, and Omega Ruby and Alpha Sapphire. You’ll even be able to use the Pokemon Transporter to transfer Pokemon from the eShop versions of Red, Blue and Yellow. Take a look at the graphic from Nintendo down below, as well as some notes. Here are some notes, courtesy of Nintendo, on the newer generation games, and their Pokemon Bank rules on transferring. 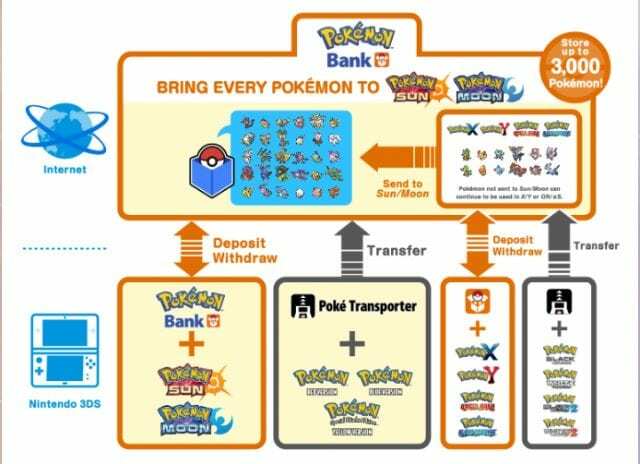 If you transfer to Pokemon Bank and then on to Sun or Moon from Omega Ruby, Alpha Sapphire, X, or Y, you’ll be unable to transfer it back to Omega Ruby, Alpha Sapphire, X, or Y. And here are Pokemon Bank notes on the eShop versions of Red, Blue, and Yellow. If you use Poke Transporter to move Pokemon from the Virtual Console versions of Red, Blue, or Yellow: Special Pikachu Edition, they can only be sent to Sun and Moon. They can’t be sent to Omega Ruby, Alpha Sapphire, X, or Y.
Pokemon moved to Pokemon Bank using Poke Transporter can’t be returned to the Virtual Console versions of Red, Blue, Yellow: Special Pikachu Edition, or to Black 2, White 2, Black Version, or White Version. 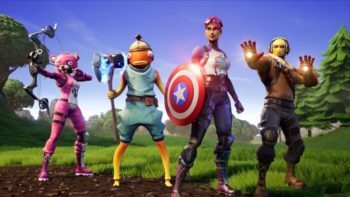 So make sure you have all your teammates where they need to be by January when the update hits. 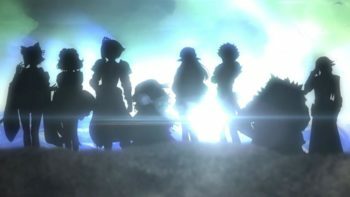 For more help, tips, and guides on Sun and Moon check out our extensive wiki.